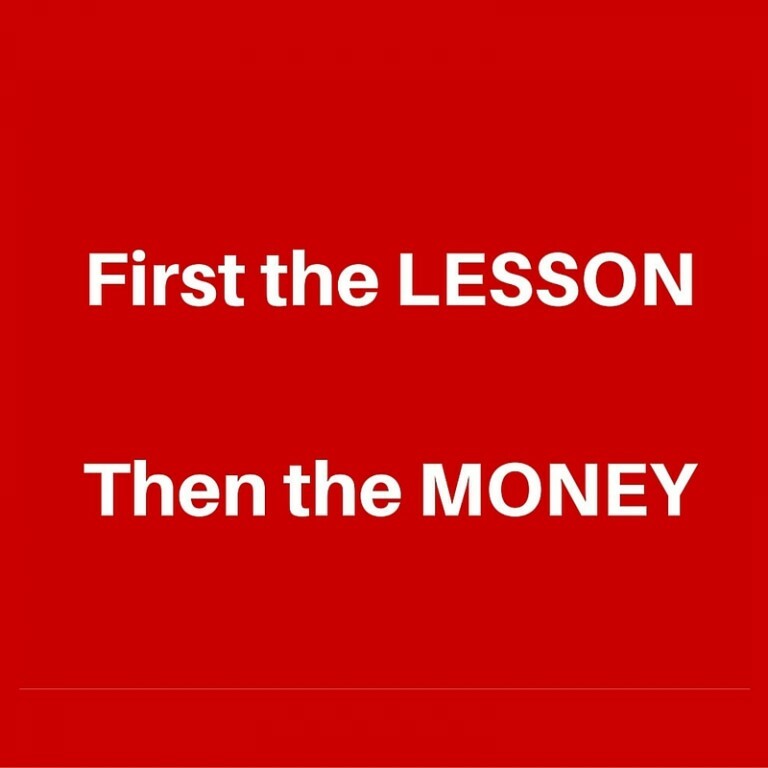 If you aren’t making the money that you want, and find yourself scared and struggling, as I once did, then one of the reasons is because you must first learn a lesson before the money comes. 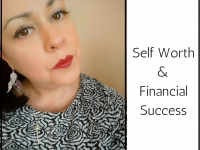 During my time of struggle with money, when I ‘broke’ my business, money had literally dried up and there showed no sign of improvement after weeks began to turn into months you can bet I wondered…. I do good in the world. Along with accompanying feelings of being scared out of my mind for a lot of the time and it’s a wonder I didn’t turn grey from all the worry and stress!! 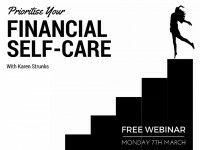 As I wracked my brain for a reason one of the thoughts that I had was that I was being given a lesson about money. Up until that point, I’d pretty much taken money for granted. I didn’t show that much appreciation for it. I didn’t look after it that much. I had a LOT more to learn about money that’s for sure! No matter how bad it got, how scared I got, how much I HATED selling anything of value that I had, how much I thought I’d have to live in my car (as long as I had my laptop and wifi I’d be OK I thought – and still believe), and how much mental torture I went through I would NOT back down. I have a dream Goddammit. A MISSION. AND IT’S SURE AS HELL BIGGER THAN ANYTHING ‘LIFE’ CAN THROW AT ME. With any ‘breakdown before the breakthrough’ I had to hit rock bottom financially before I could rise up again. I REALLY learnt a BIG lesson. About money. About myself. About what I’m here to do. About the bigger picture. About how much stronger I am than any circumstance – and so are you. And of course, now it forms part of my message and I can now help other people through my experience. Also with the ‘bad’ times, it’s easier to appreciate the good times. 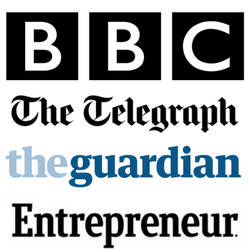 I have a ‘pinch-myself’ life and business right now. Money is flowing. Things get better and better and I’m so happy to be experiencing one of the BEST years of my life. You can bet since then I’ve take much better care of my money, I love it, and nourish it and I’m grateful for it. I attend to it every day as one would a plant they want to blossom. 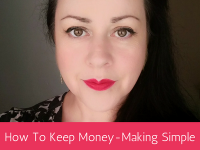 So, I put to you, although there may be any number of reasons you aren’t making the money that you want right now, or you may be scared and struggling, one of the reasons is because YOU have a lesson to learn before the money will follow. Stay true and stay strong and believe more is possible. PS! 8 days to go! THIS is your opportunity to get inside my business, find out exactly what’s worked for me over during my years in business when it comes to creating a HELL of a lot of freedom in my life, making money completely on MY TERMS, doing what I love with THE most freaking amazing clients. And doing it WITHOUT COMPROMISE. 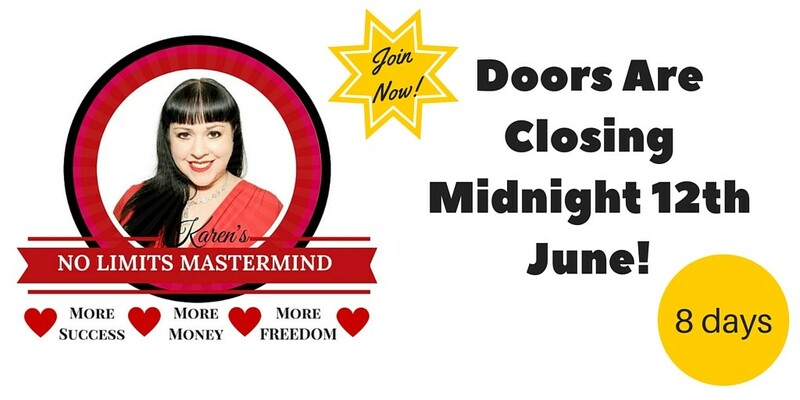 I’m closing the doors in 8 days and I don’t know when I will re-open them so shift out of ‘waiting’ and get into ‘life-changing’ and join today!